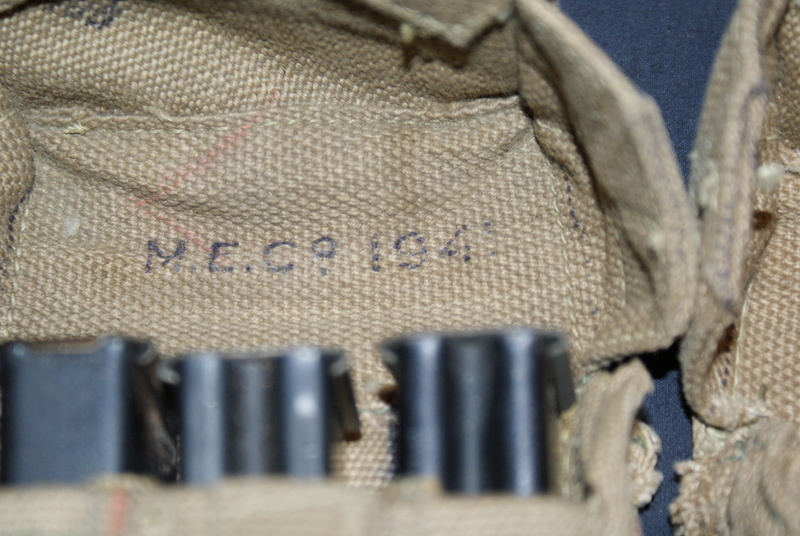 Hi, I have this pair of British ammo pouches marked M.E.Co 1941 that appear to have been modified to hold 3 Sten mags each. It's definitely not factory done, but rather crude sewing and the ink layout line are visible. Anybody have an opinion on this, I've never seen another pair before. 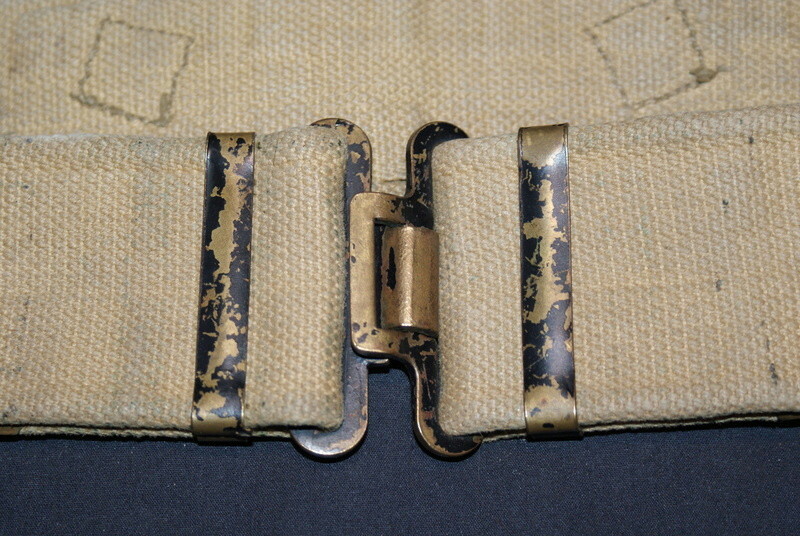 Also, pictured is a web belt and what was the reason to blacken the brass hardware ? Did armored troops do this? 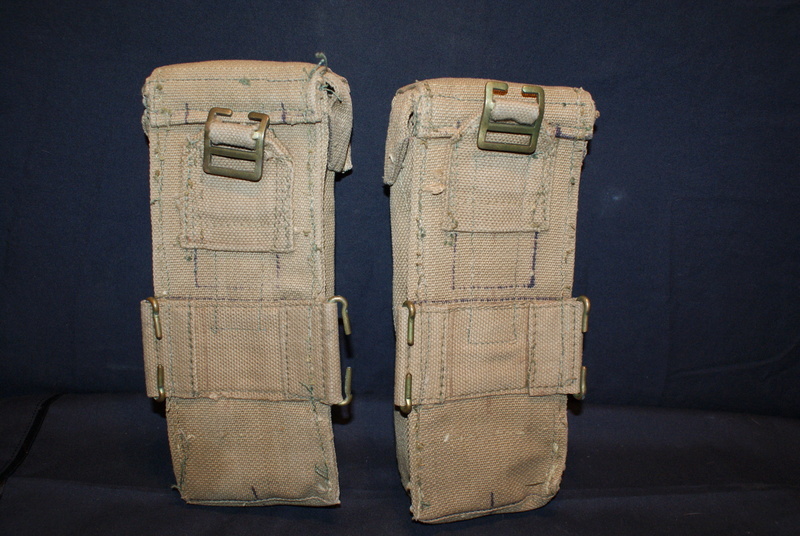 From memory, these pouches are the Lanchester SMG magazine pouches. The Lanchester was introduced in 1940, and the Sten in 1941. The Royal Navy was the primary user of the Lanchester so the production of the ammunition pouches would not have been that high. My guess is they are modified Lanchester pouches. The ink marks were used by the sewing machine operators so each pouch was the same when manufactured. The crude stitching would seem to indicate a local unit modification, not a MECo modification (although it could have been). I would think that not many of these pouches were modified. The ink marks could also indicate that these were new pouches acquired for modification to see if it was worth the effort to do so. 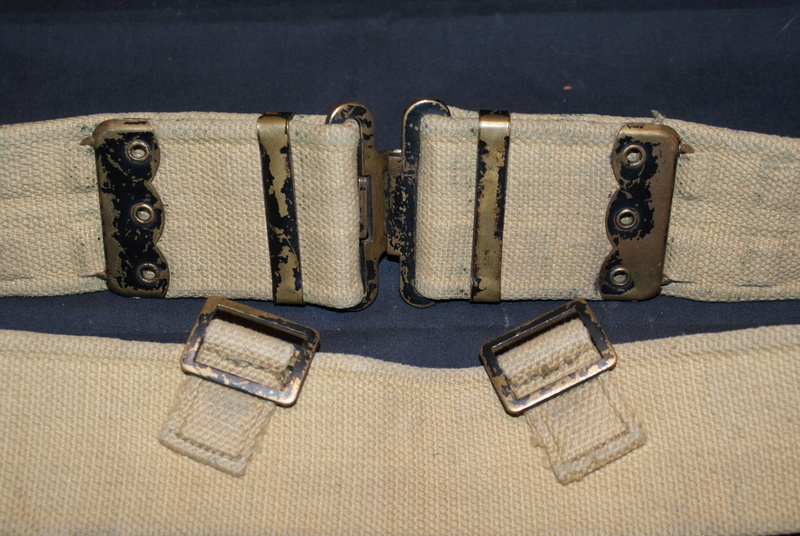 As war manufacturing priorities increased, most Sten guns used the standard 37 Pattern ammunition pouch with the top flap left open. 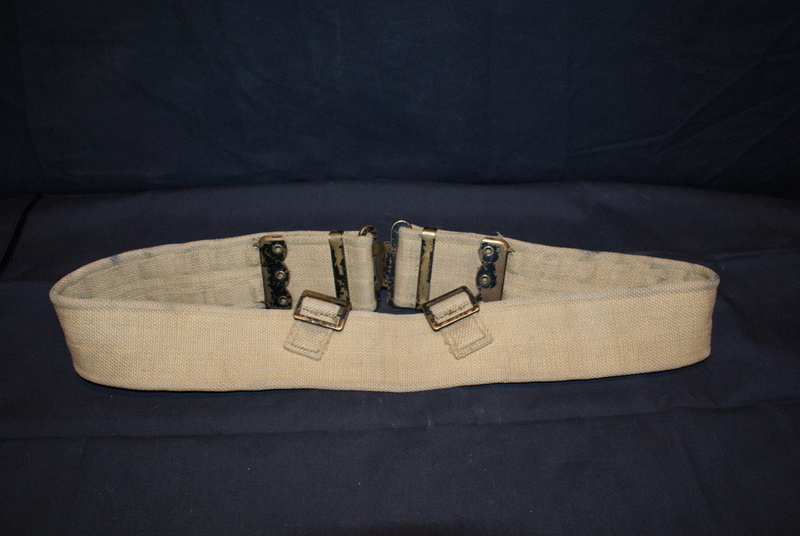 There was a Canadian 37 Pattern pouch that had extensions added to the side to allow for the length of the magazines, but not many of these were made, again use of the regular pouch with the top flap left open was done. 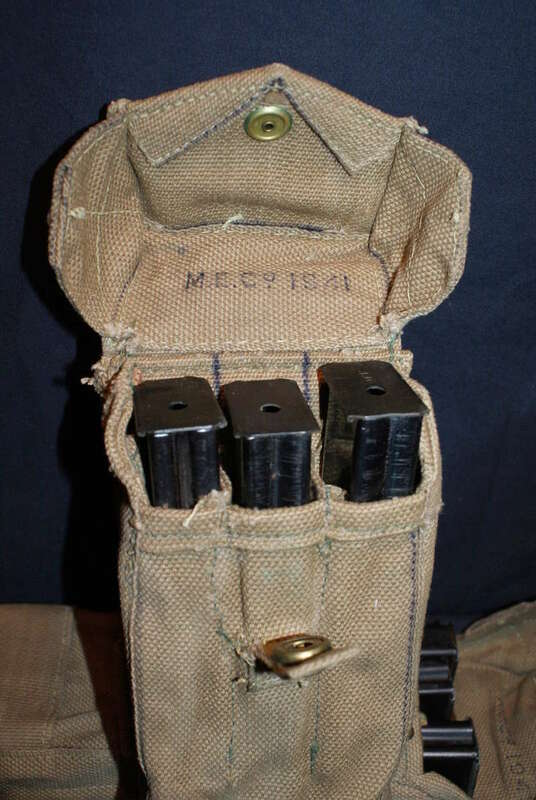 I would say they are a nice example of an uncommon ammunition pouch variation.